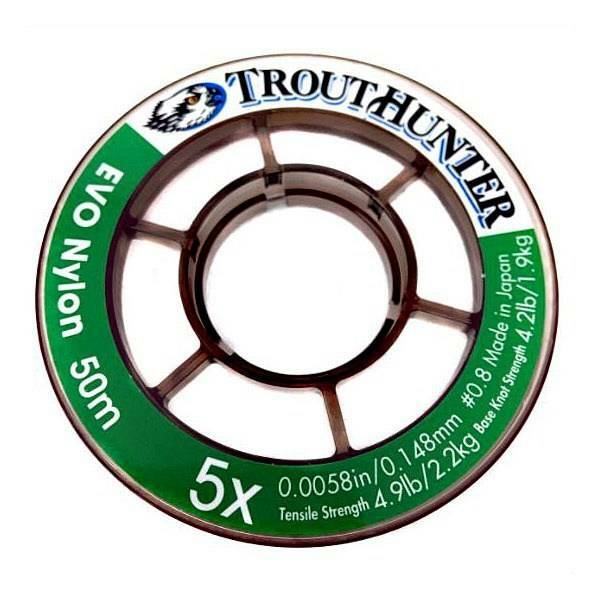 TroutHunter nylon tippet material is double coated for maximum knot reliability and water repellency providing the strongest break strength to diameter of any supple tippet material available. Proprietary misty brown polycarbonate large arbor spool. Designed for low material memory and easy handling in a stackable, compact, durable design. Unique colors for each diameter allow for quick identification of size. U.V. resistant, waterproof packaging ensures that the product is of maximum strength when purchased. 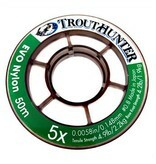 8-10% Stronger than Regular Nylon Tippet.